DuckDuckGo is a well renowned search engine which is also considered as one of the best Google search engine replacements. This search engine basically values user’s privacy and offers great options and flexibility to control private details. To build up a comparable reputation like Google, DuckDuckGo now added a new partner, Apple. According to latest announcement by the search engine, DuckDuckGo is now planned that it will use Apple’s MapKit JS framework. This means, Apple Maps will be used now to power address-related searchers. So, the search engine user can utilize Apple Maps integration right away on their device whether it be mobile or desktop. So, the search engine now will provide addresses, business and geographical locations to users via Apple Maps, from now onwards. The UI will similarly look alike what appears with Google Maps wherein, a user types Map-related keyword and the engine brings related maps module on the right hand side panel. 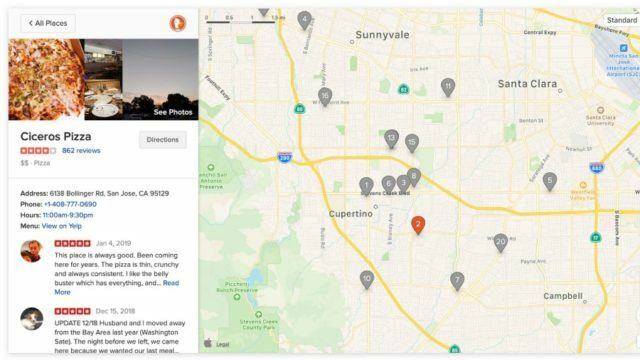 According to a blog post by DuckDuckGo, the company explains that they can now offer users with enhanced address searches, more visual features and options, enhanced imagery, and many more options through their next step with Apple Maps. In previous time, DuckDuckGo used a bunch of replacements for offering maps services to users. Some of them are ?Here Maps, Bing, and even Google Maps as well. The company mostly used to rely on Bing’s map service but now it will be changed with the integration with Apple Maps. Alike DuckDuckGo’s privacy policies, Apple too has a major focus area on its privacy terms. As per the latest reports at CES 2019, the Cupertino also found taking a dig at Amazon and Google’s Privacy terms. Subscribe Us today to get updated about all new tech news and updates.